In the summer of 1966, a unique cat turned up on a farm in New York. This red & white male domestic shorthair kitten had a coat that most closely resembled that of a Wirehair Terrier, but was even more dense, resilent, and plush than found on a dog. 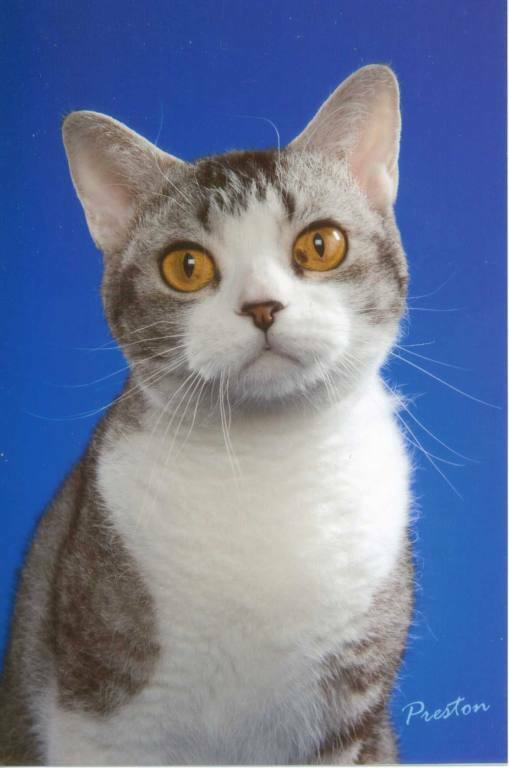 This cat was named "Council Rock Farm Adam of Hi-Fi" and he and his brown tabby and white sister formed the foundation of the breed now know as the American Wirehair. Wirehairs are known for being both extremely affectionate as well as athletic. They absolutely crave human interaction and attention. Wirehairs are well-muscled and fulling capably of inspiring feets of athletism, though they will only show off if they have a reason to do so (such as chasing an errant moth or perhaps a tinsel toy.) They make great family pets for all ages - they adjust equally well to quiet homes as they do to busy homes with many bustling children. American Wirehairs are routinely out-crossed to their sister breed, the American Shorthairs, in keep genetic diversity as well as health and vigor in the relative small American Wirehair gene pool. 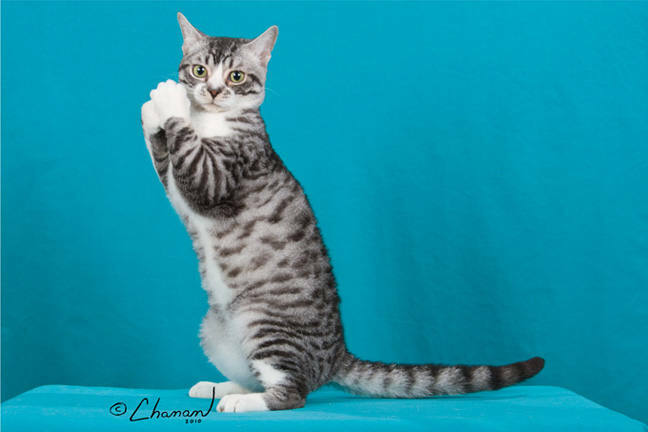 These out-cross breedings often produce "straight-hair" kittens that have not inherited the Wirehair gene. These kittens make great family additions as they generally are not used in Wirehair breeding programs. For more information, please visit CFA Photographers retain copyright on their pictures. Please do not use without permission.